Hong Khaou on the set of Lilting. Naomi Christie and Ben Whishaw. 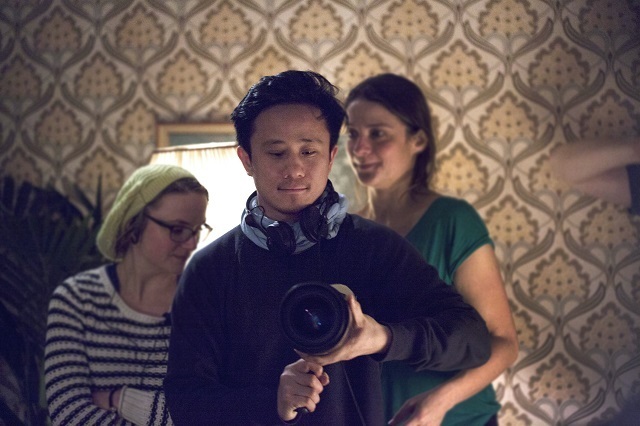 Film director Hong Khaou talked to us ahead of the release of his haunting debut feature Lilting, which is set in London and stars Ben Whishaw. The story centres on Junn (Pei-pei Cheng) a Cambodian-Chinese mother living in an old people’s home following the death of her son. There she is visited by her son’s lover Richard (played by Whishaw). Junn doesn’t know him and is unaware that her son was gay. She doesn’t speak English and Richard doesn’t speak Mandarin. But despite the age and language barriers they slowly learn how to piece together memories of a man they both loved. Lilting is the latest project to come out of Film London’s Microwave scheme, which previously had successes with Plan B’s debut Ill Manors and the critically-acclaimed Shifty. Small but perfectly-formed, Microwave films cost only £150,000 but punch well above their weight thanks to a support scheme that helps these less-than-mainstream stories reach a wider audience. Lilting recently opened the Sundance Film Festival and is about to open in London. Lilting means to move toward something rhythmically. I know it’s a word we don’t often use but I really love the way it sounds — sort of onomatopoeic. There are a lot of elements in the film that reflect the idea of lilting: the language, the movement of the camera, the tone. You’ve said Lilting is a very personal film — in what way? It’s not autobiographical but the themes in it are very close to me. I’m bilingual, I’m an immigrant: my family came here from Cambodia via Vietnam. I’m very westernised but there’s also this kind of push and pull going on. It’s not my mother in the film but there are parallels: she doesn’t speak English and hasn’t fully assimilated, and when I was younger I struggled with that. It was only as I got older that I realised the sacrifices my parents had made. We were political refugees when we were displaced by Pol Pot — my mum bought a house in Cambodia three months before he came in. So I came here when I was eight; we arrived in Derby and after that the charity helped us find a home in London, in Chiswick. Did you have to run the film by your mother? No, I didn’t run it by her, but she’s aware of it. She hasn’t seen it yet because we can’t afford to subtitle it, so we haven’t got a version in Chinese for her to see. My brothers have seen it and I got slightly nervous in case they thought I was being too personal. But I think you really have to dig into a deep part of yourself when you create stuff like this. I lost my dad when I was very young and I remember when I was writing Lilting, thinking a lot about how memory deals with grief. All that stuff in the film came from me digging into my feelings of that time. I think emotions are very time-less: like we could talk and something could trigger the past and then it would be here with us. And how did you capture that on screen? A lot of film tends to chapter memory but I didn’t want to do that so I tried to find a way to express my own experience of memory. We had time-lines merging, with the actors walking out of shot and changing then coming back in, so it seems like the camera is moving between past and present in a seamless, fluid way. That seems like an Eastern way of thinking – as if the dead and the living coexist? I don’t know if that’s a conscious thing in the movie. I wrote Lilting while I was still living at my mother’s house and she has a shrine of my father. We pray to our ancestors so they are constantly there and I remember when I was younger, in the living room was this shrine of my father and I thought, I can’t bring friends around, it’s so weird, so odd. The film is set in and filmed around London — how does the city affect the drama and the mood? It’s very much a London story — about language and communication. You know in big cosmopolitan cities like London, when I go out, there’s always another language beside English that’s being spoken. 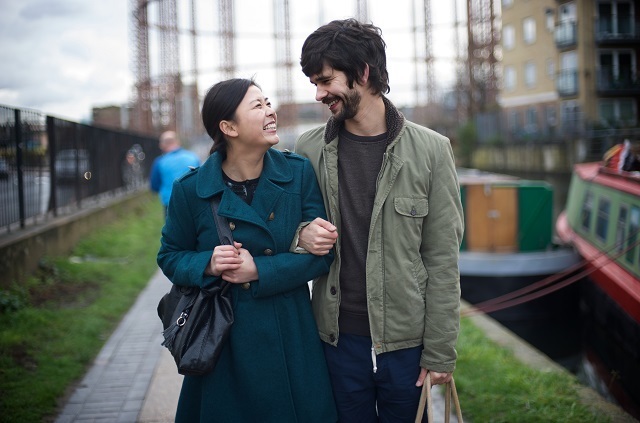 Lilting touches on that immigrant experience and the way London is a melting pot. Do you think more multicultural stories are finding their way into the mainstream now? I don’t know if I’ve seen that many. You get the occasional film, like Dirty Pretty Things, but I don’t know how prevalent it is. It should be because it’s what makes London so interesting and vibrant. I definitely would like to see more. Where was Lilting filmed and why did you choose those locations? There a lot of café scenes which we filmed in east and south east London. It was a practical thing mainly. We found a place in Dalston — Chase and Sorensen — that suited the way we wanted to film the different time-lines. Then there’s a café called Ombra near Regent’s Canal. And we filmed along the canal and by Broadway Market and found some amazing locations in New Cross. Lilting is a micro-budget film. What was your experience with Microwave and Film London like? It was good. They are very hands-on and involved every step of the way. They give you 50% of the budget then we had to find the rest — which my producer Dominic Buchanan managed. And that takes you up to about £120,000. Could you have done with a bit more money? God yeah — I kept wondering if only we had a bit more. It’s so expensive finding locations in London, I remember having to go to each place and explain the project myself over and over. But then, it’s all relative — because we had so little money, we also had a lot of people wanting to help us and the actors all worked for minimum wage. Was the shoot easy to pull off? Filming in East London was hard. We were under the flight path and we had sirens all the time. So we had to keep stopping and re-taking. So hard. And it rained a lot, which wasn’t a problem because we shot mostly interiors, but even on the days when we filmed outside, it rained. How has London inspired you as a film maker? Are there any films or a particular director who has made a big impact on you? I love London with a passion. I just spent seven weeks in the States and I remember how passionate I was talking about London. Clearly, where you live and the things you experience every day must subconsciously feed into the work. One film I love is Wonderland by Michael Winterbottom. I think that showed London in a really interesting way. And you’ve also worked in the theatre? I spent time at the Royal Court and with Poker Theatre, just learning the craft of writing. I wasn’t trained in theatre but after I graduated it was really hard to make films so I thought the best thing to do was brush up on my writing skills. 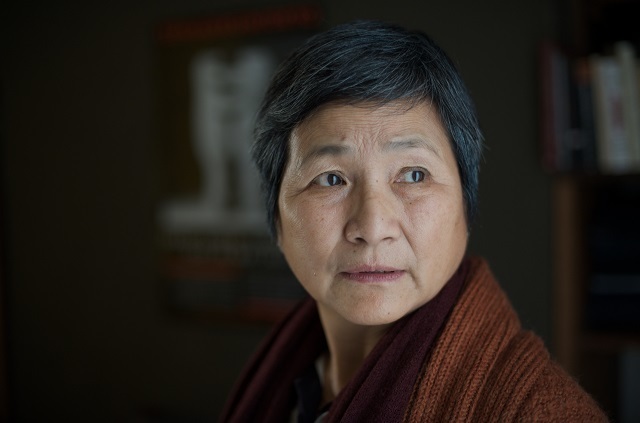 I do love theatricality in films – like in Lilting there are these monologues I love. I’ve been thinking about how to bring theatricality into film so it works in a cinematic way, not a stagey way. Do you have any pet hates about London — what really gets up your nose? People who vote for Boris Johnson. Lilting opens in selected cinemas in London on 8 August.